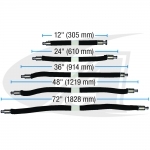 Improve Weld-Quality And Productivity, Reduce Purge Gas Costs And Save Time! 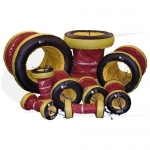 Inflatable bladders are cost effective and easy to install in the bore of a wide variety of pipes or tubes, with one bladder on each side of the weld zone. Localized purging greatly reduces argon purge gas consumption, and significantly reduces purge time, resulting in better quality welds, and substantially lower welding and labor costs. 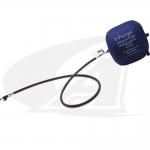 Save big on labor and argon gas costs by creating a targeted purge area -- Use 98% less argon gas! 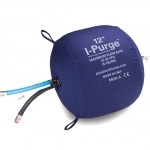 That's right, with inflatable bladders you'll use less than 2% of the gas used in conventional purge paper dams etc. 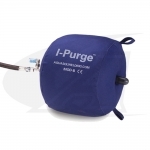 Purge bladders are engineered to be dragged into position quickly and accurately, inflated almost instantly, reducing purge time. You'll maintain consistent, repeatable weld quality, and faster turn around on all your tube and pipe welding jobs! 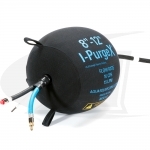 The benefits are many -- Purge bladders can be used over and over again to create localized purge areas for all your tube and pipe welding applications.